Vietnam Airlines has officially announced that it has placed a multi billion dollar order with Boeing and Airbus recently. The order comprises of 12 Boeing 787-800s + 10 Airbus A 350-900s + 20 Airbus A 320-200s. The A 359s will be a direct replacement for VN's fleet of 10 B 772ERs and were primarily ordered to enable the airline to fly nonstop trans-pacific flights to USA and Canada with a full payload from its SGN hub. British Airways has officially confirmed that it has placed a huge order for 12 Airbus A 380s (plus 7 options) + 24 Boeing 787s (plus 18 options). It will decide next year on what aircraft is best suited to replace its large fleet of Boeing 747-400s as it confirms that the A 380s it has ordered is not a direct replacement for their B 744 fleet. However, it has been confirmed that the 24 B 787s ordered are a direct replacement for its fleet of 21 Boeing 767-300ERs. One can place a bet on a bunch load of Boeing 777-300ERs being ordered to replace most of BA's B 744s as it would provide fleet commanlity with its B 772ERs. The other main competitor for this future order is the A 350-1000X which doesnt stand a chance as it can be delivered only after 2014-15 which not only is too late for BA but also will not provide cost savings in terms of fleet maintainence. CDG - suspended indefinitely effective Nov 23rd due to high operational costs and losses. EWR - to be flown nonstop 3 times a week from TPE using a B 773ER. SEA - to be reduced from daily flights to 4 weekly terminator flights flown nonstop from TPE using a B 773ER. LAX - to be increased from 17 to 20 flights a week effective December. The 3 extra flights will be flown by a B 773ER. KLM has officially announced that it will be launching new flights from its AMS hub to Dallas, Texas using an Airbus A 330-200. Flights will begin on March 30th 08 and will be flown on a daily basis. AMM - new 4 times a week service flown nonstop using a B 763ER effective June 5th 2008. CAI - new 5 times a week service flown nonstop using a B 763ER effective June 4th 2008. NBO - new 4 weekly service to be flown via DKR using a B 763ER effective 2nd June 2008. CPT - new 3 weekly service to be flown via DKR using a B 763ER effective 3rd June 2008. LOS - new daily service from JFK to be flown daily using a B 763ER effective 9nd June 2008. DL already flies daily ATL-LOS with the B 763ER. BOM - to be served with a B 777-200LR instead of -200ER to avoid pay load restrictions. EDI - new daily service to be flown using a B 752ER effective 1st May 08. MAN/BRU/AMS/FRA - all 3 cities to be downgraded from a B 763ER to a B 752ER. TLV - new daily flights to begin with a B 763ER effective 10th March 08. NCE/DUB/BCN - all to be increased to daily flights for Summer 2008. Not since the days of PAN AM, have we seen such a major expansion undertaken by an American carrier in Africa which is very pleasing to see. The only thing that one cannot comprehend here is why would DL send a B 757-200ER from JFK to FRA when LH flies triple daily on the route using more luxurious wide bodied aircraft with a superior premium cabin especially. This move is bound to back fire for DL on the JFK-FRA sector. It should just stick to its double daily ATL-FRA flights rather than fly another one from JFK just for prestige purposes. Korean Air has announced that it will be increasing its flights to Kathmandu, Nepal from its Seoul hub between January and March 2008 only. Flights will be flown 3 times a week using a Boeing 777-200. SIN - frequencies increased from daily to 9 weekly all using an A 333. MNL - frequencies increased from 11 weekly to double daily using an A 321 daily + 3 weekly B 744 + 2 weekly B 772 + 2 weekly B 763. BKK - increased from daily to 11 weekly i.e. 5 weekly A 333 + 4 weekly B 772 + 2 weekly B 763. LAX - increased to 12 times a week nonstop from ICN. Qatar Airways has announced changes to its Seoul & Shanghai routes for this winter. Currently the flight is flown via PVG, however from Oct 28th, the flight will be re-routed via KIX to ICN. 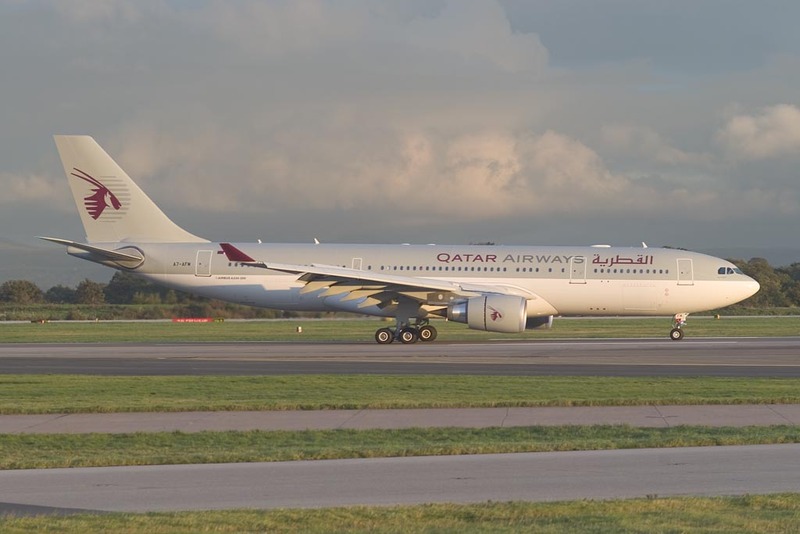 This new flight will be flown using a 2 class Airbus A 330-200 five times a week. As far as PVG goes, it will get a 5 weekly terminator service. 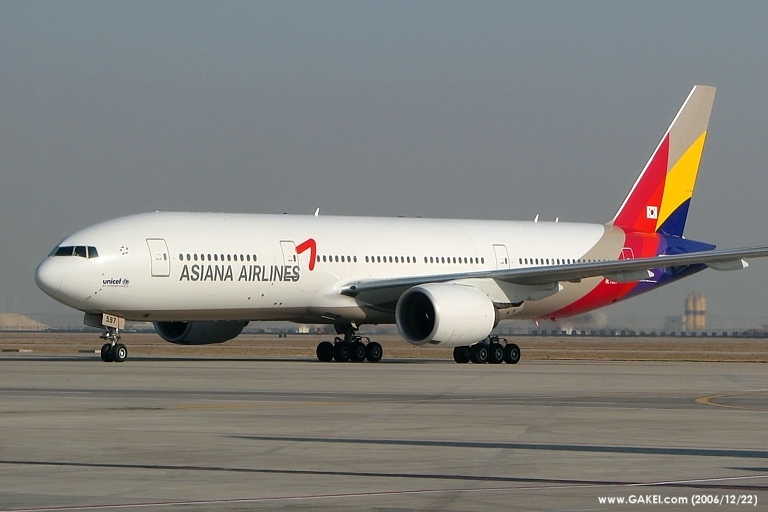 Reports from within the airline's head office in Doha indicate that ICN will be increased to 9 weekly flights from Summer 2008 i.e. 4 weekly via PVG + 5 weekly via KIX.